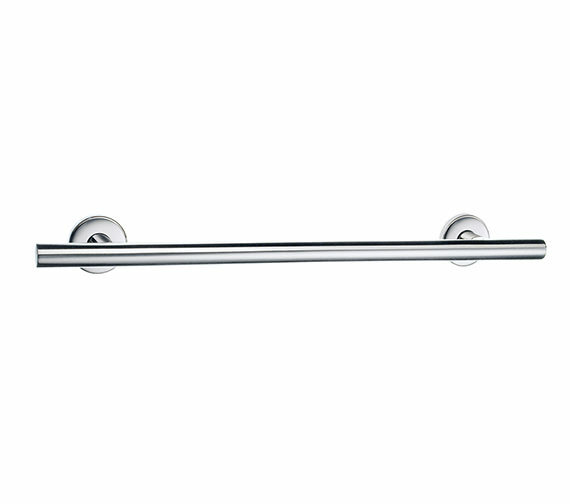 Polished in shiny stainless steel finish, this extremely user-friendly straight and long-grab bar belongs to Smedbo's Living range. Suitable for both bath and shower, this is ideal for people faced with need of physical support in varied degrees for relaxed movement in the shower. 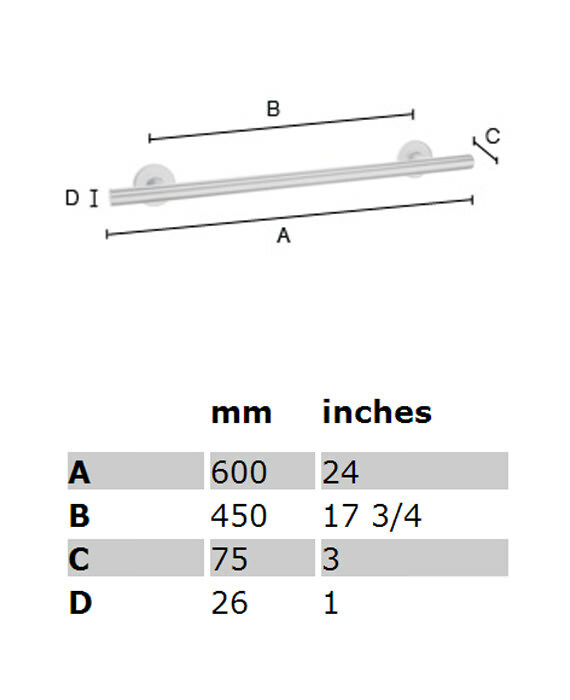 Its concealed fastening aspect keeps the wall aesthetic undisturbed. 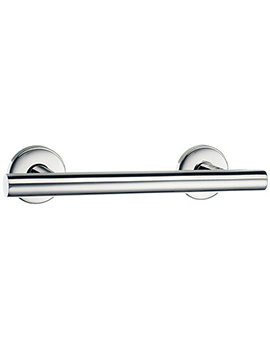 The stainless steel construction speaks of its durability which is backed by its manufacturer with a 10 year warranty. 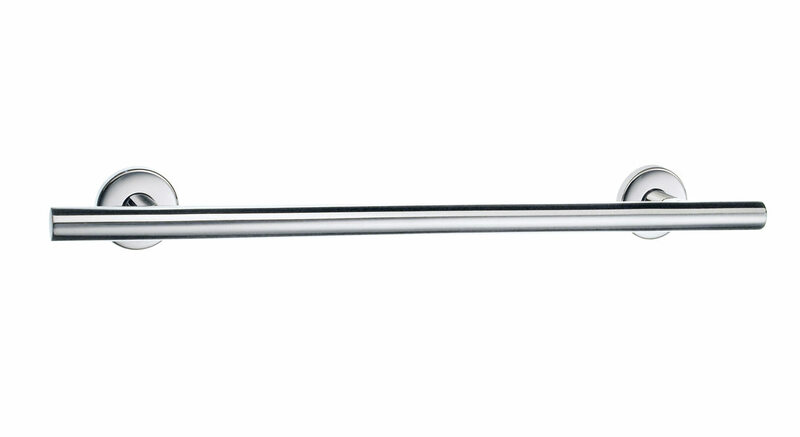 This grab bar is strong and effective. 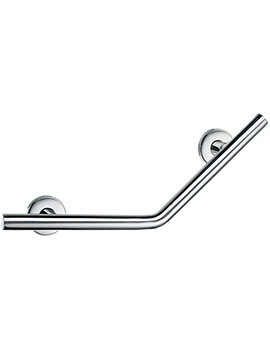 It looks pretty stylish - unlike most grab bars which are finished in hideous white UPVC, which most manufacturers assume is all that anyone who is disabled or needs extra stability will want. I would have been prepared to spend a bit more on a chrome finish instead of the stainless steel, which doesn't quite match the rest of the bathroom.